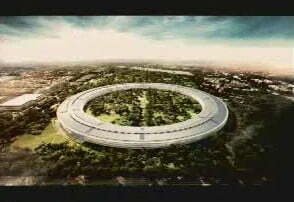 “Apple is growing like a weed,” Jobs told the panel. 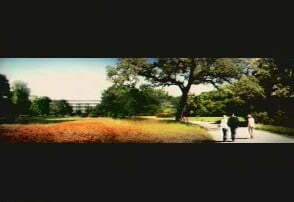 And because of this, the company has far outgrown its original campus on 1 Infinite Loop. 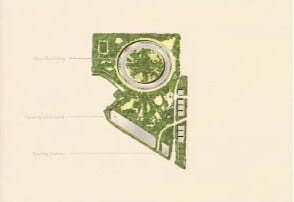 To solve their space problem, Jobs proposes the construction of a striking circular building that is capable of providing work space to 12,000 Apple employees. 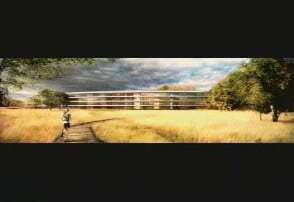 Jobs says that Apple has hired “some great architects … some of the best in the world” to design the building, which will be relatively short, and mostly covered in giant panes of curved glass (something Jobs says they’ve learned how to make through the construction of the company’s retail operations). 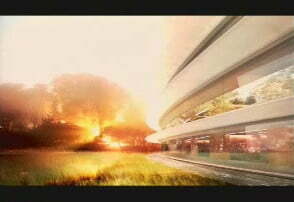 The site of the additional planned campus is 150-acre lot, 100 of which Apple purchased from Hewlett Packard in 2010. 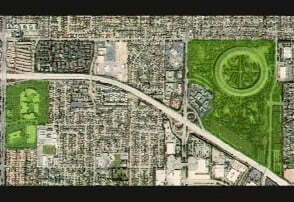 The land is currently used primarily for apricot orchards, but also has a lot of ugly parking lots, says Jobs. About 20 percent of the land is landscaped. 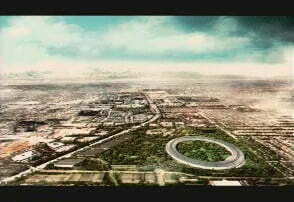 But because Apple plans to put the most of the parking lots required by 12,000 people underground, the property will be 80 percent landscaped, with about 6,000 trees. Rather than use publicly available electricity, the new Apple campus will be powered by its own electricity plant, and use the standard electrical grid for backup power, in the event of an outage. 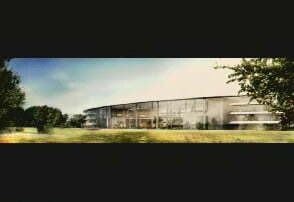 Jobs also revealed that Apple plans to increase its workforce from about 9,500 employees to 13,000 employees by 2015, the year Apple hopes to complete construction of the new building.